Image - 'Freedom Ride' directed by Rachel Perkins, 1993. Two essential documentaries commemorating two landmark moments in activism by Indigenous Australians. At the time of the 2000 Sydney Olympics, sovereign rights campaigner Isabel Coe of the Wiradjuri Nation brought ashes from the Aboriginal Tent Embassy in Canberra to a peace camp in Sydney’s Victoria Park – marking an eloquent and passionate moment in recent Aboriginal history. 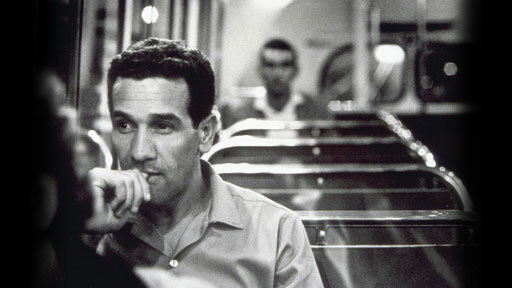 Charlie Perkins was a university student in the 1960s who led other students on a ‘freedom ride’ through rural communities to fight segregation between whites and Aborigines. Filmmaker Rachel Perkins (Radiance, Bran Nue Dae) tells her father’s story. When: Screening until Friday 28 April from 9.15PM to 5PM weekdays, looped with intermissions.